So I've been on this forum for over a year without a project thread so I figured I'll start now! 3/2018 - 132xxx DISA replaced with used unit. Complete CCV System refresh. Low pressure power steering hoses replaced + filter. (9/16/18) - 134403 - front and rear brake rotors and pads with brake fluid flush. Replace steering column linkages, replace dip stick o-ring and lower intake boot. Oil and filter change with Rotella. A little backstory about myself, my first car was a 2004 Pheonix Red Mitsubishi Lancer OZ Rally Racing Edition. Its funny now but I LOVED that car back in HS, had the coolest car after the kid with the brand new STI. I did very little maintenance on it but I'll be damned if it wasn't the cleanest lancer you've ever seen! Never died on me though, my trusty Red Rocket. Well that got me through college and a year of graduate school before going off to Medical School in the Caribbean. Perfect opportunity to sell off the Lancer and get something new when I return to the US. Well that time came and I wanted a classy, sophisticated yet sporty sedan. Spent about a month looking for the perfect car while studying for my first board exam before ultimately landing on the ZHP. I bought the car on Oct 2016 with 107xxx miles from a BMW mechanic who included a box of misc parts and a basic maintenance record. 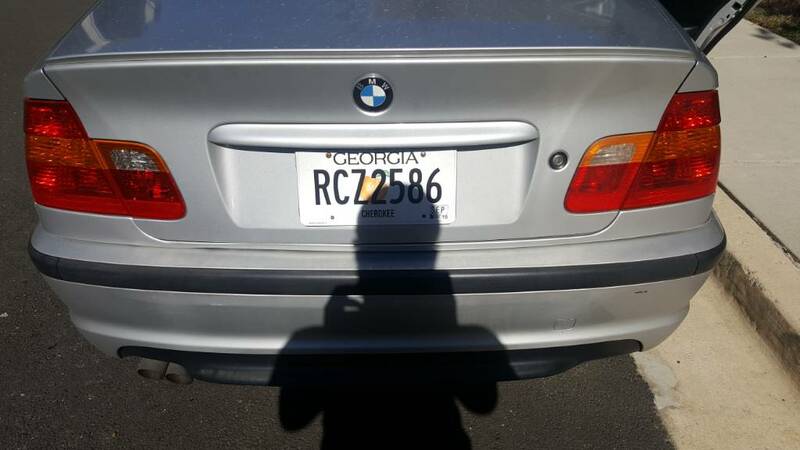 He was selling it because he had just had purchased an X3 after having a newborn and he did't need another car. 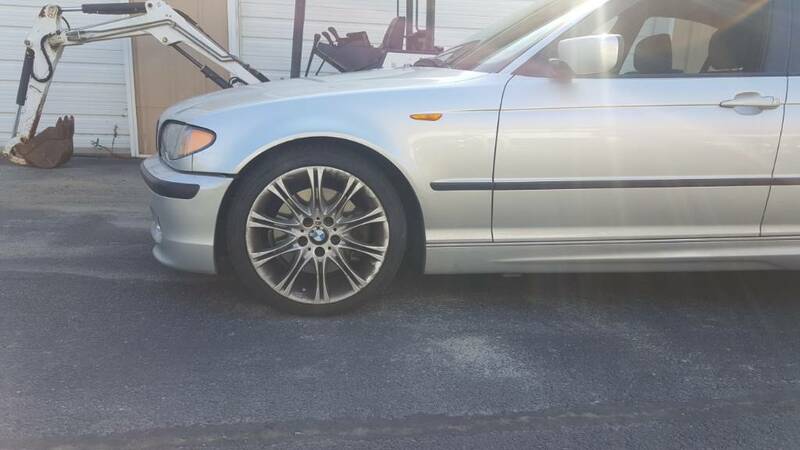 His original asking price was $9000 but my father, who was helping me with the purchase stated "I am not paying that much for an old BMW thats gonna break." I just knew this was a car I didn't want to give up (thank you mafia for that) so I was able to talk him down to $7500. I have no pics on purchase day sadly but we picked it up at BMW South Atlanta where the PO had gotten a fresh oil change and replaced all the filters while he was work. I spent that entire first weekend decontaminating with clay and iron remover, then polished with my super cheap turtle wax polisher + meguiars ultimate compound that I had laying around, before topping with Collinite 845. Interior was treated with the Leather Masters kit from Detailers domain and Einzett cockpit premium. Moved to Laurel, MD for a year to continue clinical rotations and met the guys at Rennwelt, thanks to the mafia again! Done quite a bit of work with them. A look inside during a VCG replacement and finally got my M3 strut bar put in! Really wish I had thought to do the Vanos rebuild while it was open. Replaced my burnt bowls with the refurbished bowls from Clemsone46. Clear to see which was original and which was the replacement. Last edited by JPMo; 10-22-2018 at 06:07 PM. Cool, which med school in the caribean did you attend. ?, nice car..! Thank you! I go to Ross University, finishing up in Dec! Grt start to your project thread! Finally, one of the things that was bothering me the most! Got rid of those horribly oxidized tails and replaced with some in better condition! Last edited by JPMo; 10-22-2018 at 05:41 PM.